Seasons greetings, grot bags! 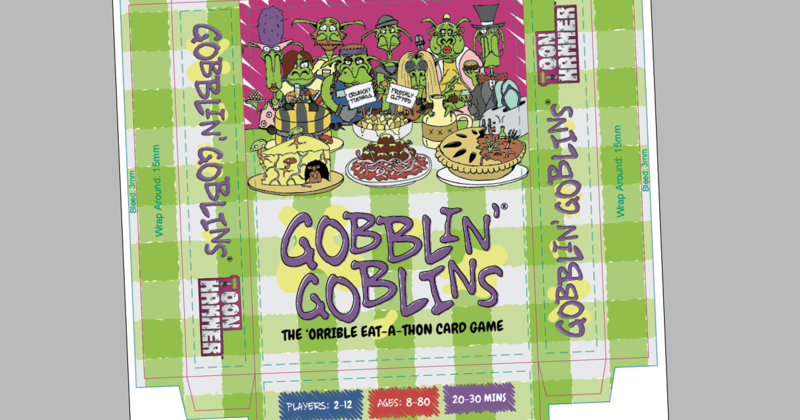 In the run up to Crimbo I've been hard at work getting the first print run of Gobblin' Goblins ready to go. Here's an update of where we're at. All the lovely, yucky artwork is now with the folks at Panda GM and bar a few tweaks we're all ready to assemble the first prototype. This should be printed and delivered to me around the end of January. Once I have it I'll do a little unboxing video so you can get a sneak peek at how the final version of the game is going to look. I'm still working to get copies to everyone for April but worst case scenario would be May. It's unlikely to be any later than that but I'll get a better idea of the exact date as we get further through the process, and as soon I as I know so will you! The next update will be when I have a prototype to show you, so until then, have an yuck-tastic Crimbo and gobble up lots of sprouts!